Several months ago, an injured Brown Booby showed up on the Point Reyes seashore in northern California, far away from its natural territory further south. The wayward bird was brought to the International Bird Rescue in San Francisco, where she underwent foot surgery and spent several weeks recuperating in the aviary. 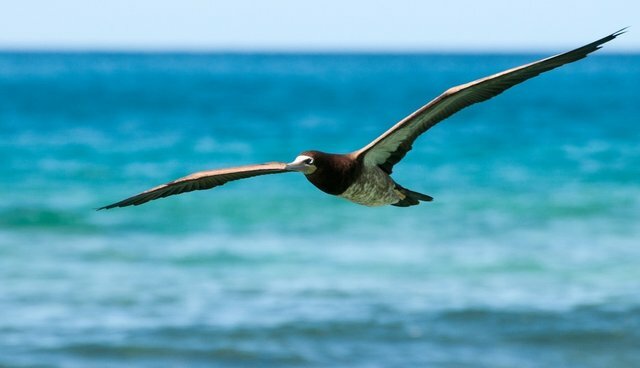 She was then transferred to the organization's center in Los Angeles, much closer to the Brown Booby's usual range, and was successfully -- one might even say victoriously -- released back into the wild.